We’re really pleased to “officially” announce the Fairdale Roger bike. This collector’s edition is only available in super limited quantities. 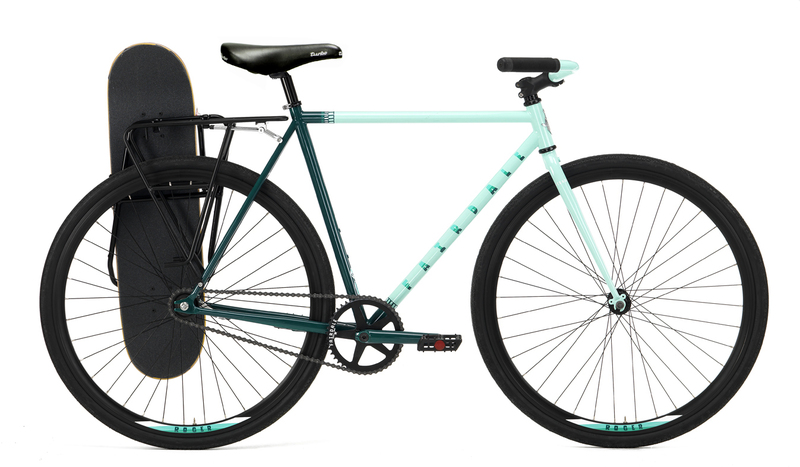 This bike is special to us because we got to build it with our buddies at Roger Skateboards. This special package comes complete with a skateboard. 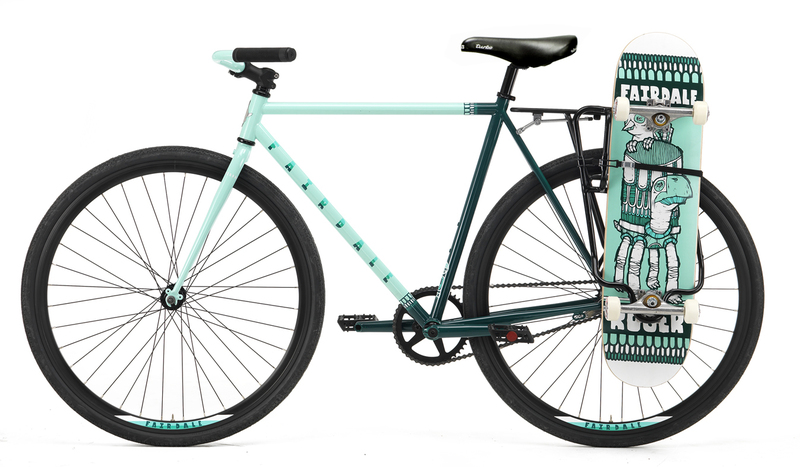 One of our most favorite artists Roger’s Michael Sieben did all the graphics for both the bike and matching board. The skateboard is a real deal Roger Skateboard complete with Indy trucks, Bones bearings and even Sieben designed Bones wheels. The bike is based on our soon to be released Coaster model. It has Fairdale Archer bars, a real Selle Italia handmade Turbo seat, Odyssey grips and pedals. A smooth and simple looking Shimano Coaster brake rear hub gets you moving and stopping, and bullet proof sealed press in bottom bracket with chromo BMX cranks will keep you pedaling. It also comes with the Fairdale cargo rack combined with our Skaterack to carry your skateboard with ease. The Fairdale Roger bike will arrive in shops in the middle of June. The complete board/ bike kit will have a MSRP of around $800. If your bike/ skate shop wants to order one contact Full Factory Distribution.